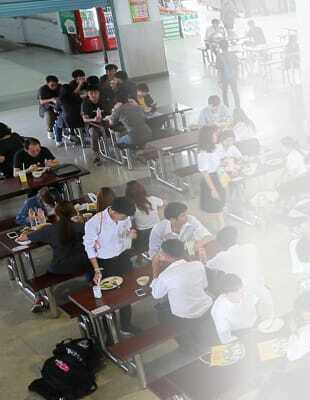 and staff in the same time, KMUTT main canteen, so-called ‘KFC’, King Mongkut’s Food Center, is located on the 2nd floor of King Mongkut’s Memorial Building with various delicious kinds of foods; Thai local foods, Chinese noodles, halal foods and vegetarian foods. Plus, two small canteens are located at KMUTT Residence building while there are many food stalls scattered around the campus for grab a bite meals. To face away from the university’s environment for a while, just take about 3-5 minutes’ walk, you can enjoy eating with ‘make to order’ foods of your own choices.